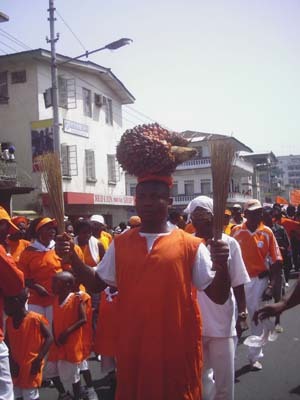 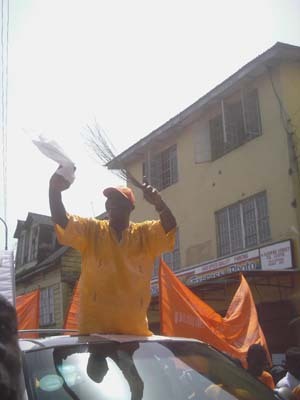 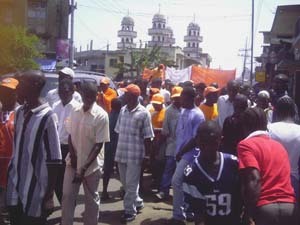 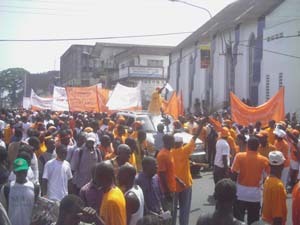 COCORIOKO’S pictorial display of the PMDC’s jubiliation in Freetown today after the party got its final registration. 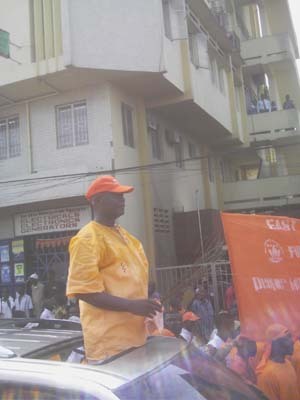 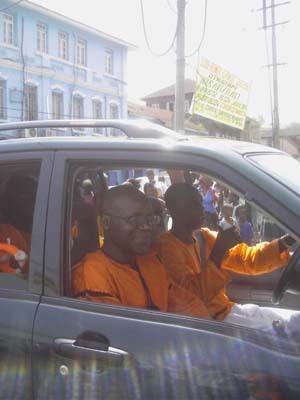 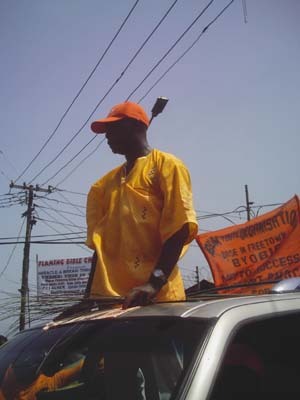 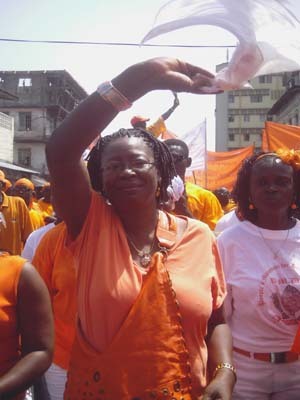 The man riding the convertible van in most of the pictures is Charles Margai, the leader of the party . 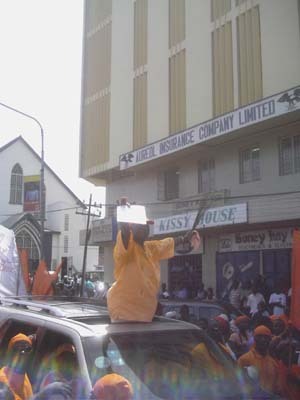 READ MORE ABOUT THE PMDC REGISTRATION TOMORROW.